Earlier this month, I participated in a social media library giveaway organized by Steve Cunningham, who like me, loves books. He writes a blog called "Read It To Me" that summarizes business books and also hosts Webinars with authors. This weekend I participated in a Webinar about the book The Whuffie Factor along with author Tara Hunt where we discussed how the ideas apply to nonprofits. Erin even wrote a little poetry as part of her entry. My social media plans for 2010 involve 1) developing my own knowledge and skill set, 2) helping to develop a strategy for my organization- Metro United Way in Louisville, KY - and 3) teaching within my organization to develop the knowledge and skills of others. - FOCUS my personal learning in social media. - ADAPT my existing social media strategy based on the new things I learn and ideas I have as a result of reading the books. - GIVE BACK by reporting out on what I have learned and how I am using the books, both internally (within my org.) and externally (with all of your fine readers!). When I announced the contest, I thought there was one important book missing, Shel Israel's Twitterville. So I said I'd kick in my copy. Brian Reich author of Media Rules left a comment offering to include a copy of his book. In addition, I'm sending the winner my review copy of Mitch Joel's Six Pixels of Separation because I think she can learn a lot from Chapter 14 on Participation 2.0. What I propose to do with the library you are offering is read it, try it, share it, and let you know how it works for me, my colleagues and the people we influence. I am the director of a non-profit that promotes open museum practices, and we are in midst of launching a free service for arts organizations: a web site that permits any museum to create a participatory exhibit space and social network centered on the museum's collections. As you know, it takes more than access to create a successful social media network. It takes content, strategy and elbow grease. So if we are lucky enough to win this library, we'll read it, share it and put it through a workout with a variety of collaborators, and we'll show our appreciation by pointing to your books, citing your ideas and telling you how it goes. Yesterday, I was fortunate enough to participate in a Webinar organized by Steve Cunningham with Tara Hunt about her book, The Whuffie Factor. I purchased a copy as soon as it was available last May. It's been my bible for community and relationship building. I keep a copy of the checklist on pages 158-159 from the book right by computer. The most interesting part of webinars is the q/a and Tara got an interesting question about how you measure Whuffie and she wrote her reflection here. I have a some thoughts I'll add in a separate post. Claire Murray who works with Malden, MA's anti-poverty agency, providing advocacy, community organizing, pro bono legal assistance, housing assistance, fuel assistance, weatherization, child care, Head Start, free financial education and tax preparation, even special "matched" savings accounts so people can develop assets, signing them up for health care and food stamps, and a walk-in computer center for access to and training in the technology. She has been using blogs in the computer walk-in center since 2005 (through a technical assistance grant with the CNET, I worked with them back in 2005). Lana Kraus is the youth engagement specialist for the Kansas Family Partnership who is using social media to build out their online resources library for substance abuse prevention. The longer-term goal is to be a resource to other agencies that participate in the partnership. FLYyouthDC is creating a social media plan using the WeAreMedia wiki. For 2010, they want to build relationships with past volunteers, youth clients, family members, donors, and other supporters. "Like many nonprofits these days, decreased foundation support means we're really struggling financially. Because of this, our other big goal is to get back to grassroots fundraising, not only to help us get through these hard times, but to also create a continuous stream of funds by offering multiple ways for people to donate and to share who we are. Of course, being in touch with our supporters in so many ways means we'll also be able to thank them in just as many ways!" This is a youth-run organization that works in the DC area. Johanna Bates, who has worked for a community organization in Massachusetts that will close its doors at the end of year, will venture in the world of consulting. 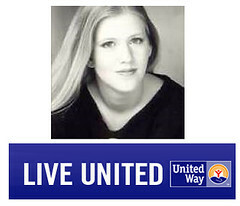 Johanna Bates is one of the smartest nonprofit technologists out there who has a wide range of skills including social media and so many other technical talents I can't remember. I know Johanna is a very generous person and has volunteered for the NTEN NTC Conference annual day of service (see a photo of her climbing a ladder in a community center in New Orleans to help install a wireless network). If you're reading this and you left a comment and didn't win a book, don't be sad. I'll be doing some more book giveaways during the holidays. I have a big stack of review copies of books and can't wait to share some brief reviews and then give them away! I usually don't write end of year roundups until those quiet last days of the year, but if Leave09Behind gets legs, that might be next week! 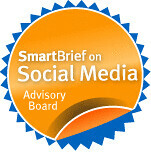 But I'm a member of the Social Media Advisory Board for SmartBrief, Inc, a terrific daily summary of social media insights and they asked me to do a roundup post for this week. Over the past six months, I've been collaborating on a book with Allison Fine, titled "The Networked Nonprofit" and we've been sifting through stories, research, and seeing many patterns. So for this post, I'd like to share 5 fundraising trends that we saw emerging in 2009 related to fundraising and social media and that will most definitely continue to have impact in 2010. Less than 24 hours ago, Epic Change launched its TweetsGiving 2009, a 48-hour charity event to encourage people to express their gratitude using online tools and at face-to-face meet-ups. This two-day event, which ends on Thanksgiving, also invites people to donate to Epic Change. Last year, TweetsGiving, raised $11,000 to build a classroom in Tanzania using Twitter to spread messages of thanks and opportunities to donate. More importantly, the event was one of a series of social media fundraisers that offered evidence that Twitter and other social media tools were not just a passing fad. Last February, Twestival raised over $250,000 for charity:water in 24 hours through self-organized volunteer events in 200 cities around the world. 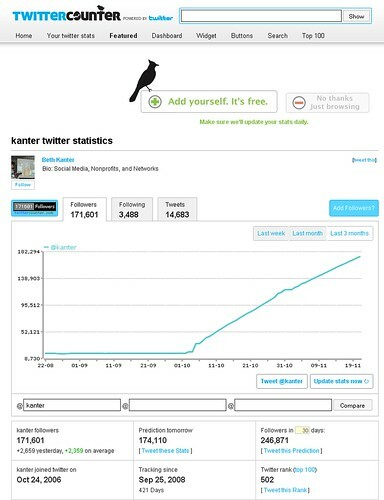 While "Tweet and Meet" events, called "Tweet Ups," were popular with Twitter users in 2008, "Tweet-Meet-Donate" events became more and more common in 2009. 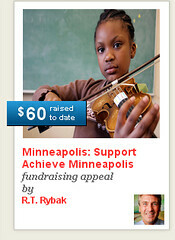 As we march into 2010, might we see the invention of Real Time Web fundraising events? Or maybe as more nonprofit explore the possibilities of location-based social networks and fundraising, the distinctions between online/offline fundraising will melt away. 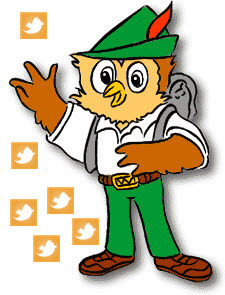 Social networks like Twitter connect us with people online who share our interests or passions about making the world a better place. They also provide fertile ground for us to organize rapid, collective fundraisers. They key is designing the opportunity for connection, plus self-organizing. As June Holley, a thought leader in networks, would say, "Be Rhizomatic." We witnessed the power of combining a platform for self-organizing with network building in the winter of 2009 with A Networked Memorial Service for Maddie, in memory of a toddler, Madeline (Maddie) Sphor who passed away suddenly. The March of Dimes community rallied to raise money in Maddie's memory, unleashing a groundswell of support and sympathy expressions. 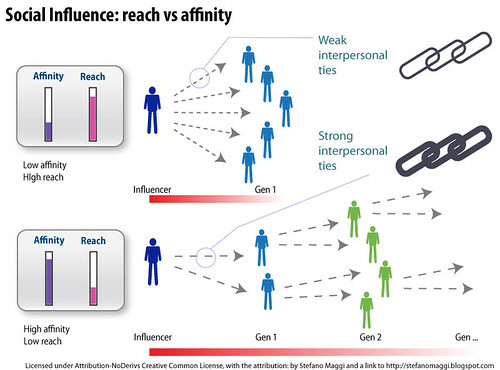 Using social media channels alone for fundraising will not be as effective as making it a part of a multi-channel straetgy that includes traditional fundraising techniques. This includes using email, web site presence, google ads, face-to-face events and reaching out to the online and mainstream media . A great example of how well this multi-channel approach works is the Humane Society’s Spay Day. In 2009, the organization launched the United State Spay Day Photo Contest in 2009 as one part of their overall effort that included broadcast media and other social media outreach efforts as well as offline event. More than $550,000 was raised last March. 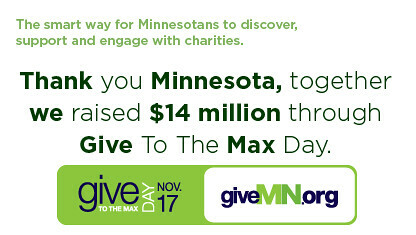 And just last week, GiveMN, a new online web site that hopes to encourage more Minnesotans to give and help create a stronger nonprofit community for Minnesota, raised over $14 million dollars in 24 hours using a multi-channel campaign. In May, 2009, Peter Dietz, founder of Social Actions, reflected on the future of online fundraising and wrote about a shift in donor expectations. That donors in an age of social media, will come to your organization with the expectation of being full partners in your work, not just an ATM machine to be tapped when cash is needed. Not recognizing the importance of relationship building and engagement as the first step in getting donations has lead to a number of articles in the mainstream media or research studies to conclude that social media is worthless as a fundraising tool. If we only continue to use these tools to gather nonprofit trend data, we're missing some opportunities..
Peer-to-Peer fundraising is about empowering people to fundraise on behalf of your nonprofit. It works for marathons and in lieu of birthday presents or wedding gifts, although sometimes it can be a waste of time for nonprofits. Last year, Facebook Causes added its birthday wish feature and we saw more peer to peer fundraising unfolding on social network sites. Ammado has recently launched a new take on peer-to-peer fundraising called giving circles and giving communities that nonprofits should keep an eye on. Another trend with peer-to-peer giving we are likely to see is that donors will want the opportunity to have a closer tie with those who benefit from their donations. 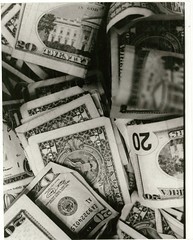 In 2010, we are likely to see more interaction - not with the organizations, but with the actual recipients of the dollars. We know that good storytelling that tugs at the heart strings opens the purse strings. With "click philanthropy" actions, ways that users can easily spread a message or leverage a donation, it is important to tap into human emotion. Good fundraisers (and marketers) know that tugging at the heart strings can open the wallet. Tweetsgiving is playing off the theme of gratitude, according to recent research is a powerful emotion that encourages positive behavior, the giving and receiving of thanks (and gifts.) Drew Olanoff, who was diagnosed with cancer, decided to raise money by taking revenge on cancer through his BlameDrewsCancer.com which allowed you with a twitter hashtag, #blamedrewscancer, to blame anything you want on his cancer. And finally, fun and public humiliation - as NTEN's executive director Holly Ross discovered, can be good levers for donations. 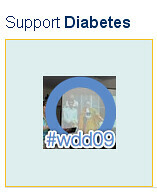 Although social media as part of the fundraiser's tool box is not yet the norm, these experiments are laying the ground work for even more dramatic successes in 2010. Social media fundraising tools will come and go, but the ability to leverage one's social graph to raise money for a good cause is bound to be with us for a long time. 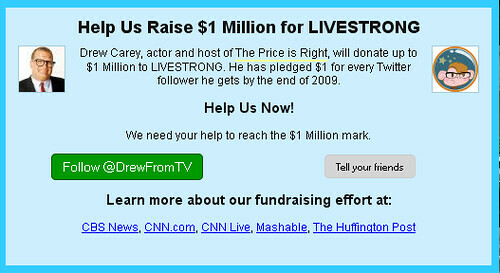 What do you think are the key fundraising/social media trends of 2009? What is important to take into 2010? This morning on Twitter, Farra, from Big Duck, pointed me to a guest blog post titled "What Story Are You Telling Your Donors, Where Are You Telling It?" The above presentation comes from the NYC chapter of NTEN’s 501 Tech Club to hear presentations about multi-channel campaigns, including the deck above from Rebecca Willett of Planned Parenthood Federation of America. The point of the post is that good storytelling is the heart and soul of donor solicitations and a consistent story must be told across all donor touch points. This presents a wonderful opportunity because every time a donor interacts with your organization it is a chance to share another aspect of your story and reiterate the work they make possible. That's an important point for how web site content, engagement, and social content work in perfect harmony as we've been discussing and thinking about the topic of Social Content on the WeAreMedia Wiki. There's the other side of letting your supporters tell their story in their words via social media and then re-purposing it through other channels. How are you thinking about how your story is being told and retold through both traditional and social channels? All of which brings me to MomsRising.org – perhaps one of the most compelling “new” models for issue-organizing. The mission of MomsRising is to mobilize mothers, and as they say, anyone who has a mother, on issues that pertain to their economic security and well-being, along with that of their families – things like health care, paid family leave policy, flexible work options, affordable early learning/childcare, environmental toxins, and ending wage and hiring discrimination against mothers. Launched in 2006, MomsRising is a trans-partisan organization that started on a shoestring budget (supported in part by the Packard Foundation), and with a very small staff. It has grown quickly – now counting more than a million members on its list. In fact, MomsRising grew its list substantially last spring, when it launched a viral video campaign called the “MomsRising Mother of the Year Award” which lets you insert your favorite mom’s name and email a customized video to her. This hilarious video, which has been viewed by over viewed by over 12 million people, subtly weaves in information about economic discrimination against working mothers. The campaign has been blogged about extensively, and is often held up as a model for creative ways to build a membership list. MomsRising is focused on “movement-building” and large scale systems change, not just building an organization. They ultimately want to change policy and business practice; change the popular culture; and, improve democracy by engaging more women in the political process. They explicitly take a partnership/ network approach and work with and through other organizations focused on issues their constituents care about. E.g. 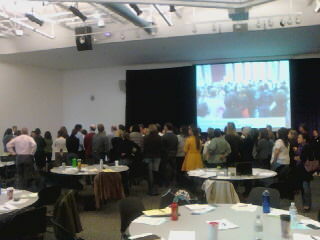 they work with policy groups, environmental groups, social justice and poverty prevention groups, etc. and collaborate to move issues forward. MomsRising can quickly mobilize tens of thousands of people on an issue, but they recognize that their partners bring deep issue-expertise. Since MomsRising is much less interested in building an “organization” per se, they have very low overhead and no central office. They operate with a very light staffing model: roughly 8 FTEs made up of 12 total staff, some of whom work part-time, many of whom live in different states – supporting over a million members!. Most of the work is coordinated online. MomsRising focuses on their membership’s needs—and elevating those voices into the political process. They are member-centric, not organization-centric. The organization is there to support the members, not the other way around. Consequently, listening and responding to their membership is critical to their success – they say “we have multiple ways to listen and engage in a dialogue with a diverse range of mothers across the country”. 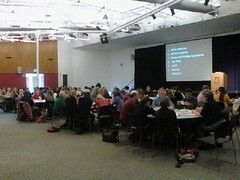 Members help determine which issues the group focuses on – not the other way around. They are not a single-issue organization, rather, they focus on multiple issues of concern to women from varying economic and ethnic backgrounds because they believe that to build a truly family-friendly America we need to address the overall pattern of how policies and business practices are developed. Data analysis is also critical to their success: they constantly evaluate response rates (to campaigns/ emails, etc), to understand what is working, and make adjustments as they go – it’s a process of continual iteration. Running MomsRising is as much a science as it is an art. They are working to combine online and offline organizing and see that as critical to their success. They encourage members to “meet up” in their own neighborhoods and run online campaigns designed to get people to show up in person at a rally. There are multiple technologies in their tool-kit and they combine them in any variety of ways depending on the campaign: website, blogs, ties to external bloggers, online media sites, Facebook, Twitter, online ads. Increasingly they are looking at ways to use mobile technology (cell phones) for engagement. They don’t silo their skills: Their team consists of a multicultural group of campaign organizers (all women) who do both strategy and tech implementation – that is, they need to be skilled in issue organizing as well as be proficient in various tech tools. MomsRising believes it is critical for staff to understand the online tools well enough to “push the limit” on campaigns. There is not a divide between “organizers” and “techies” as in many nonprofits. To sum it up, MomsRising’s critical competencies are speed, flexibility, decentralization, integration, holistic thinking, listening, dialogue, engagement, mobilization, constant learning, iteration, and rigorous analysis. Their biggest challenges: 1) educating funders about this form of ‘new organizing’ that takes a multi-issue and multi-strategy approach; 2) convincing funders to invest in an organization that is willing to test multiple approaches knowing full well that some will fail but that this experimentation is critical to being able to find ‘break-through’ strategies – it’s challenging because it’s a “non-linear” model; and 3) evaluating and documenting their success: they can do this well at tactical level (e.g. response to email campaign, etc) as well as when their work has played a key roll in passing a particular piece of legislation or influenced company policy, but they are also working to obtain resources to be able to measure traction over longer term periods against larger goals of cultural and wide-scale policy change. Does MomsRising remind of you of other novel approaches you’ve seen? Can you think of a way to apply it to your work? Heather McLeod Grant, senior consultant at the Monitor Institute and a principal contributor to Working Wikily A published author, speaker, and advisor to high-impact organizations, Heather is the co-author of Forces for Good: The Six Practices of High-Impact Nonprofits, which was named a Top Ten Book of 2007 by the Economist. Be sure to read Cheryl Contee's guest post about a highly successful video campaign implemented by Mom's Rising. WeAreMedia: What's Your Social Content Strategy? When we kicked off the WeAreMedia, A Social Media Starter Kit for Nonprofits 18 months ago, we included two areas about content creation. There was a strategy module that shared best practices in storytelling and a tactical module called "Tell Your Story Social Media Style." The later focused on how nonprofit could become social content creators, that is how to effectively communicate the organization's story through social media channels like blogs, video, podcasts, and photos. We also touched on user-generated content, inspiring others to tell your organization's story in their own words. (1) Web Site Content: This is your homebase. Your organization has a degree control over the creation of this content, most obviously what you publish on your organization's web site. It's branded, it is edited, and scheduled and part of a formal web content strategy. (If you want some great worksheets and step by steps to think about it, check out Content Creation Strategy for Nonprofits by Kivi Leroux Miller. Now, we know or at least we hope, that more and more organization's web site content is becoming more social. That their web site may be or incorporate a blog as well as integrate, videos, podcasts, and photos. Many web sites are also integrating social features or social networks. (2) Social Outposts: This is your organization's presence on social networking or social media outposts like Twitter, Facebook, or other places. It is a combination of content you create or that has been re-purposed from your organization's web site, but should also include what people remix or share. This content is a organic, always growing and changing. It is mostly community created. (3) Engagement: I'm calling this "co-created content" because I don't have any better way to describe it. We know that ongoing deep engagement and building relationships is the heart and soul of social media success. Having a conversation with your supporters is part of the work. It is also content created by your supporters that they share through social outposts and that you re-purpose and remix back through other channels including your web site. Dana Boyd has a talk called "Streams of Content, Limited Attention - The Flow of Information Through Social Media." where she talks about social content from the consumer end and make some recommendations. I've been thinking about this intersection of content that the organization creates and content that is created by the audience. There is a balancing act of how you facilitate that without controlling it. It's how you use the conversation to generate, aggregate, and facilitate social content. How do you plan your engagement and content strategy so they work together in perfect harmony? What are the specific content co-creation tasks that you need to do? Have a checklist? List of tasks? Do you need a specific campaign or is this an ongoing activity? 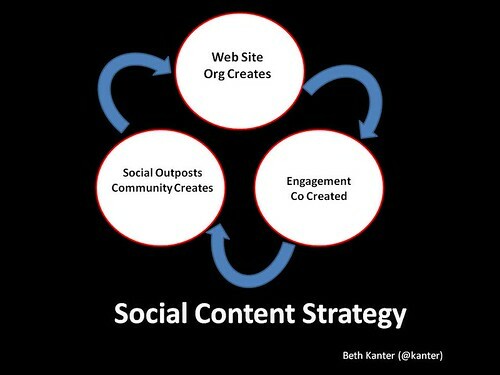 Is your organization thinking about a social content strategy? Share your ideas on the WeAreMedia Wiki. Steve over at Polar Limited like me, loves book. 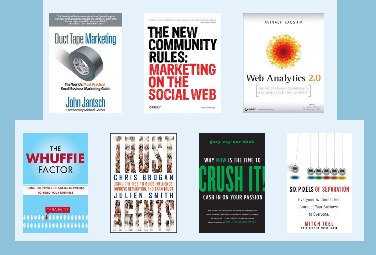 Also like me, he's doing a networked social media book giveaway. Steve has convinced these seven authors Mitch Joel, Tamar Weinberg, Tara Hunt, Chris Brogan + Julien Smith, Gary Vaynerchuk, Avinash Kaushik and John Jantsch to offer up free copies of their books. 1. Leave a comment below telling me your social media plans for 2010, and why you think these 7 books will help you achieve what you want to accomplish. Best comment in within the next week wins the set. I think there is one important book missing from the library, so if you leave a comment here - you'll get a copy of Shel Israel's Twitterville. Yesterday, NTEN;s Holly Ross hosted an online conversation with Seth Godin and me, along with Roxy Allen and 100 plus NTEN members. These "Ask the Expert" chats take place on the phone with a online chat back channel. This conversation came about after Seth's provoking post "The Problem with Non" took a swing at nonprofits for lack of adoption of social media, saying it was all due to fear. This caused an angry uproar on nonprofit blogs and Twitter from nonprofits saying there were plenty examples of nonprofits using social media effectively! 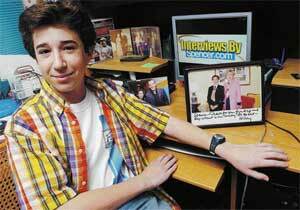 Seth quickly reached out to me via Roxy Allen suggested that I do an interview. In turn, I suggested that we have a conversation with the nonprofit technology community with Holly Ross at NTEN as host. This conversation took place yesterday. Holly started with a great question, "What's in the DNA of each of these orgs that allows them to embrace this change and experiment?" Innovation isn't always about the product, it's about the marketing and communications around the product. Participants in the chat shared their impatience with the pace of organizational change, acknowledging that "All NPO's grow from experimenting, they just get freaked out by the tools." It made think of one of his recent posts about "Asking Why," but while he was talking about shavers, it made me think of hair, and naturally that made me think of hair shirts and quote from Rob Stein about transparency as a hair shirt. My answer to Holly's question was that organization's that are innovative have leadership that is open to public learning and models that in the organization. There's no better example than the public dashboards of the Indiana Art Museum - Innovation is about opening up and letting the outside in. Roxy Allen mentioned in the chat that one of the biggest changes will be branding "from the inside out" - employees have a mouth piece - which is hard to control and a culture change. She recommended a book from the HR perspective called Brand Inside Essentials. Rekha, shared this essay about the generational differences in public media organizations when it comes to innovation. 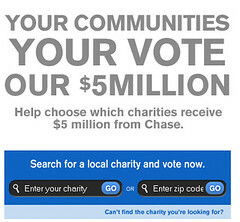 The back-channel had a poll feature and one of the questions about change agents inside of nonprofits. One point that Seth made that really stuck with me was about leadership. That it doesn't matter what role the change agent has - but they put on a good show, model passion, and inspire people to change. We covered a lot of topics - for culture change within nonprofits, nonprofit innovation, transparency, leadership, and the importance of storytelling. 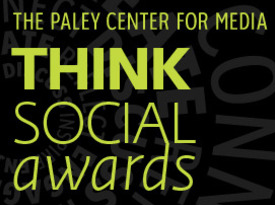 We discussed the findings of some recent studies about nonprofits and social media adoption. Holly Ross has a blog post about some of her key takeaways and Darren from the Groupery also shared his notes here. If you participated and wrote up a post or have some takeaways, leave them in the comments. View more presentations from Weber Shandwick Social Impact. The results of two new research studies about nonprofits and adoption of social media were released this week. One focuses on telling nonprofits not to bother with social media, the other provides some strategic ways to move forward. The findings of this research offer insights into how nonprofits and foundations can optimize their use of social media in the future. 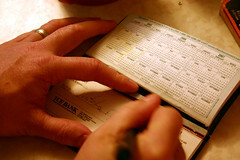 The other survey, implemented by Philanthropy Action, focuses on midsized nonprofits. 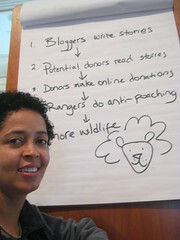 The headline is: Social Network and Mid-Size Nonprofits: What's The Use? In terms of fundraising and attracting volunteers, metrics that most nonprofit boards and executive directors highly value, the available evidence suggests that social media is not very effective. To be fair, that evidence is limited. To date, there are only two surveys that we know of, one which we conducted, that have sought to quantify the impact of social technologies in terms familiar to executive directors and boards. In both cases, the results show that social technologies are not delivering much in terms of fundraising or attracting volunteers. While advocates of social technologies rightly point out that these are not the only metrics by which social technologies should be judged, they are the metrics that the majority of respondents to our survey cited as driving their participation. Nonetheless, the overwhelming majority of respondents to our survey say they are going to increase their investment in the use of social networking. Certainly there are different motivations of the sponsors of these surveys, different methodologies, and different conclusions. My opinion is that nonprofits should not ditch their efforts in social media. It takes time to get results, like anything else. You need to listen, engagement, develop relationships, scale within your organization, and have the capacity to implement strategically. This takes time and social media for nonprofits is still in its infancy. There are no silver bullets. The results are in developing listeners and participants who may later become supporters. It’s time to set realistic outcomes, look for strategic efficiencies, and define and share best practices. I don't think it is a good idea to simply dismiss social media. I think it is important to have the conversation, but don't look at ROI in such a narrow - dollars only. Look at the missed opportunity costs of not participating - as well as take it as an opportunity to look at everything you're doing and figure out what isn't working and try social media in its place. It also important to keep measuring and improving. What does your nonprofit think? Social media forget about it or move forward but implement strategically? Do you think social media is a waste of time for your organization or a technique in the early stages that needs more time to mature? I think the most interesting "alternative" view of the data we collected is how many orgs reported no success on the metrics that they initially cared about but that they were planning on investing more. There are two possibilities to explain that: 1) they are caught up in shiny object syndrome and thinking "the reason it's not working is we haven't invested enough", or 2) they are finding value other than what they expected and that value is enough to justify increased investment. This is a point I make over and over again - use the right metrics. 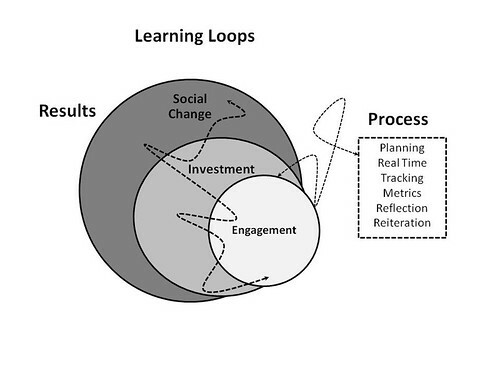 Social media metrics - particularly in the early stages of use - are softer ones - like learning and adapting, and engagement. Once you've engagement full measure, then start counting conversions. Last week we invited people to help us crowd source a Hollywood Ending for the WeAreMedia Wiki. We've spent the last 18 months focused on how social media can support communications and fundraising strategies and now it is time to turn attention to program delivery and other issues. And you responded with your thoughts! But I wondered, is there a larger frame? 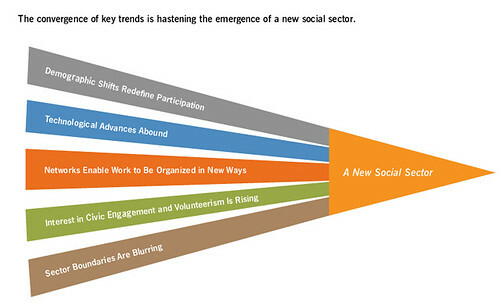 This exploration of the five key trends yielded important learnings: While each dynamic has profound implications for how nonprofits will do business in the future, it is their interplay that will transform the sector. The Chronicle has a summary of the report here. alike — must become futurists. This does not mean predicting the future (an impossible task if ever there was one) but instead means being attuned to rapid and continual shifts in the environment; continually evaluating and interpreting how organizations can best adapt; and experimenting with new responses and approaches. Being a futurist requires both individual and institutional curiosity, and a willingness to take risks. No one of us can afford to rest on our laurels, assuming that the old ways of doing business will continue to serve us in this dramatically new and ever-changing environment. Nor can we rely on external experts, scholars or think tanks to map the road ahead for us — it is our responsibility to envision and shape the future for ourselves, our organizations and our society. action to position the sector to be proactive — not reactive — regarding the trends outlined in the report. What I found most thought provoking were the questions we should ask about technology in charting the future. • What if the sector employed social media tools to engage both professionals and volunteers in designing new approaches to service or program delivery? Have some thoughts? Add them to the WeAreMedia wiki here. 2009 was looking like a very uneventful hurricane season. That is until Hurricane Ida slammed into El Salvador killing 91 people as of this writing. It is now headed towards the gulf coast of the US. So it looks like we're going to get a hurricane after all this season. 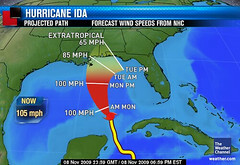 Ida is expected to make landfall on the Gulf Coast near the Alabama/Florida border late Monday or early Tuesday. I've already started updating the feeds on the homepage to aggregate Ida-related information, but there are still some tasks to be done. Most importantly, we need to update the wiki: http://hurricanewiki.org. We need volunteers to review the wiki section by section and make sure that there are resources collected for Florida, Alabama, Mississippi and Louisiana. Much of this was done last year but it can't hurt to be sure it's up to date. 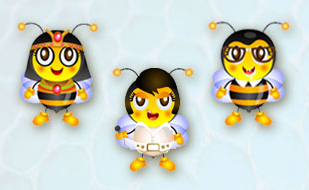 If you plan to work on a section of the wiki, please let us know which one. If you can help out in the next 48 hours, please let Andy know by responding to this thread. Last summer, during the height of the hurricane season, Andy Carvin, interrupted his self-imposed summer blogging siesta, to help organize online efforts and coordinate volunteers in advance of Hurricane Gustav. He set up a Ning site Hurricane Information Center. This site worked much like Katrina Aftermath, with aggregations of content generated by the public, news orgs and govt agencies. I've just come across another site/platform that is designed for aggregating information for emergencies and they have also established a Hurricane Ida Information Site. Well, off to do my micro-volunteer task for the day and add it here.